A website redesign can be one of the most nerve-wracking, but impactful, changes an ecommerce advertiser can make. After years of working with dozens of ecommerce clients, we’ve identified a few key features that have such an outsized impact on performance that every site redesign should include them. Nailing these four bases will help you drive more revenue from your website and marketing efforts. Easy site navigation is key to strong performance for any website, and should be a major consideration when planning a site redesign. Logical categories, multiple ways to choose your desired product set, and a way to feature new products or popular items are all hallmarks of strong navigation. In the example below, from Nike, it’s simple to select your correct demographic group (men, women, etc.) and then drill down to the particular article you need. This structure makes it easy for the user to find what she needs as quickly as possible, and reduces the likelihood that visitors will bounce because they can’t find what they want. Similar to #1, filtering to the most specific set of products on a page helps marketers match ads to landing pages. 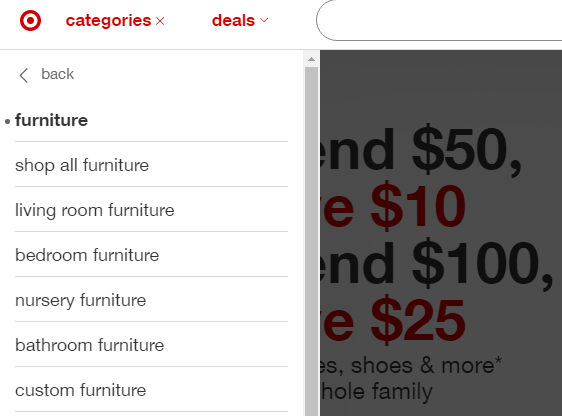 For example, a search for bathroom furniture can match to ad copy about bathroom furniture, but if it’s impossible to find this category on the site, then the landing page will not match the search query or the ad copy. Many visitors will leave instead of manually sorting through your furniture collection. In the age of search engines, consumers have gotten used to typing extremely specific queries to get what they want. 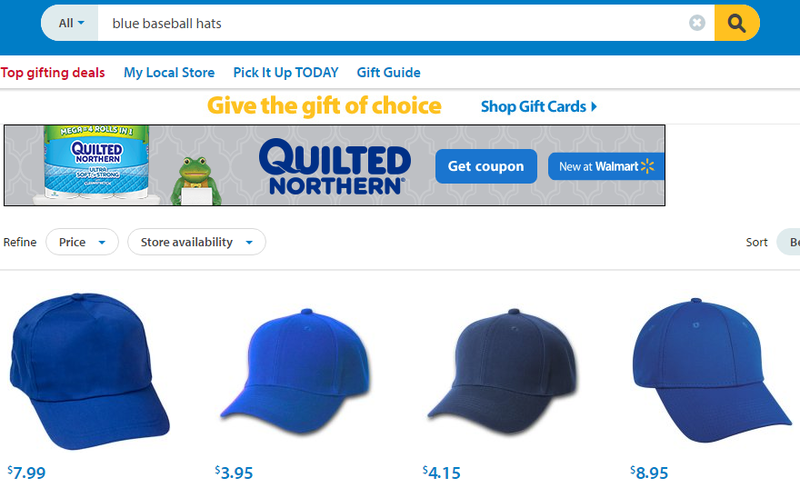 If your search bar can understand and provide relevant results for a search like “blue baseball hats,” it removes another barrier to purchase. The search results page is another great place to have product filters so a user receiving hundreds of results from a generic query can filter down to their desired category. With all the work that goes into creating a powerful search bar, there is nothing worse than when a marketer can’t take advantage of the new functionality. Dynamic pages that are specific to the browser will break if you use them for landing URLs. Instead, use static search page URLs so that you can use search results as landing pages for your marketing. If you can copy the URL after running a search, paste it into another browser, and still reach the same page, then you can use that URL for ads. This is not an exhaustive list of all features that ecommerce sites need. Each business or unique store will likely require additional features to create a positive customer experience. The four features listed here are a good starting point to make sure you cover the bases of new site design. If you include these four items, not only will your marketing be more effective, but your marketing manager will be thankful.